Even though Egypt has begun to ease the emergency situation that has gripped the country since the revolution a year ago, the economy still has a long way to recover. Unemployment is up, and the country’s biggest money earner, tourism is down. ­Foreign currency and gold reserves have plummeted from $32bln to $18.2bn in a year. The Egyptian Pound fell to an historic low against the dollar at just 16 cents despite vigorous support from the Central Bank. 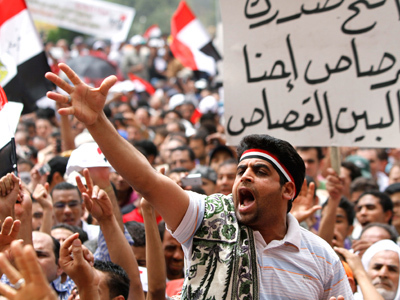 Egypt has asked the International Monetary Fund for $3.2 billion of loans. But experts doubt, this sum would be enough for the Egyptian economy to keep going. The economy suffers from a lack of experienced management as Ministers who have run branches of industry for many years lost their posts. Many industries have sunk into decay, with the catalyst for social unrest unemployment continuing to grow. The civil war in Libya has also affected Egypt’s labour market as about 1 million Egyptians, who worked in Libya returned home seeking a job and security. 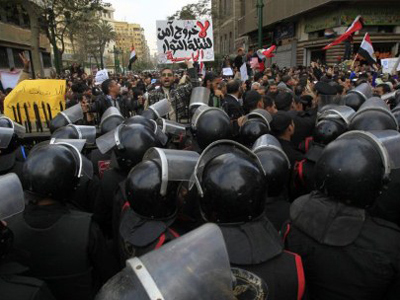 The revolution has weakened trade between Israel and Egypt. Israeli exports to Egypt fell to $173 million in the first half of 2011 comparing to $503 million in 2010. The tourist industry that brings 12% to Egyptian GDP has been suffering heavy losses since the turmoil began last January. Tourist numbers dropped 35% by the end of 2011. Security issues remain the major factor scaring away tourists, they are also concerned over the possible introduction of Islamic law into Egypt. Some of the leaders of largest party in the new Egyptian Parliament, the Islamist Freedom and Justice Party, have called for a ban on alcohol sales at resorts and restrictions on how women dress. Meanwhile Egyptian authorities are optimistic about the future. 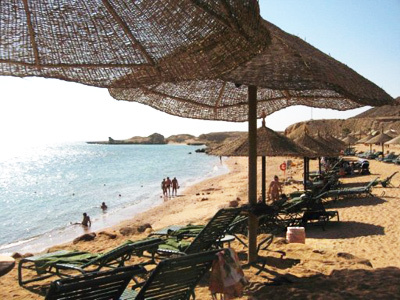 Egypt’s Minister of Tourism Mounir Fakhry Abdel Nour hopes to get the tourists back. “If stability and security is restored in the country, we could double the amount of tourists in the next five years”, he said. “People change their minds, Islamic parties reviewed its approach to tourism as they realized how important it is for Egypt’s economy”, he assured.